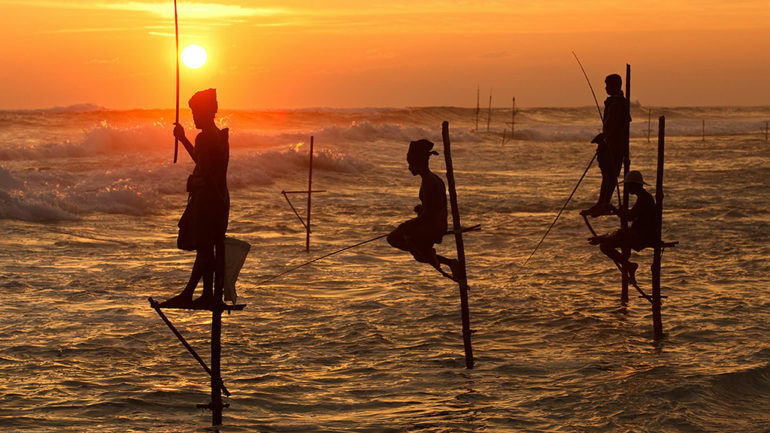 There are few cities as enthralling as Anuradhapura, one of the ancient capitals of Sri Lanka. A political and religious capital that prospered for 1,300 years, the city was abandoned after an invasion in 993. 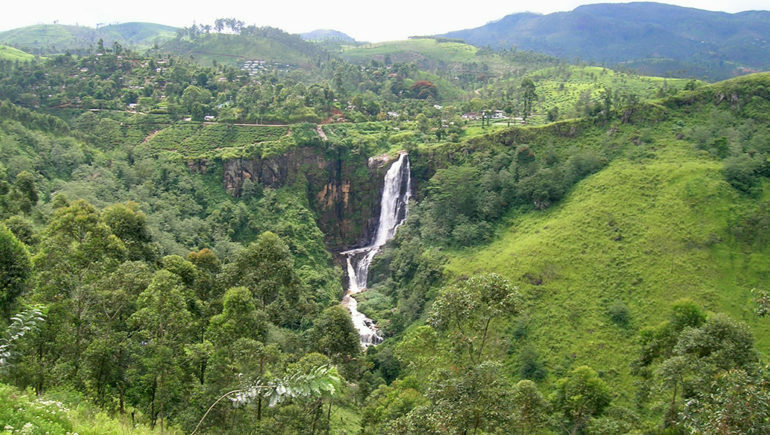 Dense jungles enveloped the area, hiding away the ruins of grand palaces, monasteries and monunuments. 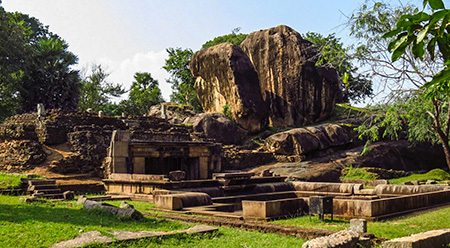 Restoration works have been carried out over time to rebuild the structures of these sites, making these ruins accessible to curious travellers keen on getting a glimpse into Sri Lanka’s colourful history and culture. 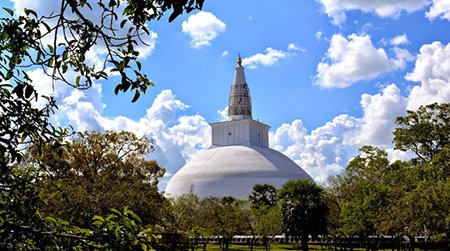 As the third largest dagoba in the world, Ruwanwelisseya Dagoba presents a majestic and enchanting sight. The scale of the structure is enormous, and the pristine white exterior cuts a striking figure against the deep blue skies when viewed from afar. Traverse the grounds of this site, and you will discern a peaceful and calming energy in the air. Well-revered by many in Sri Lanka, it is highly likely that you will encounter devotees paying homage at the stupa during your visit. Going along with a guide during your visit is advised, as you will gain interesting insights and fascinating nuggets of information about the origins of this attraction. Located within walking distance to Ruwanwelisseya Dagoba, travellers can easily make their way to the Sacred Fig Tree after a visit to view the magnificent stupa. Grown from a cutting brought from Bodhgaya in India, it is said to be the oldest historically authenticated tree in the world, consistently tended to by a stream of caretakers for more than 2,000 years. A multitude of bodhi trees fill up the grounds of the site, with the oldest tree set upon the top platform. On full-moon days and weekends, the site is crowded with a sizable crowd of devotees arriving to present offerings. Make a worthwhile trip here during the cool hours of the early evening, for the sunset scenery presents a mesmerising sight. 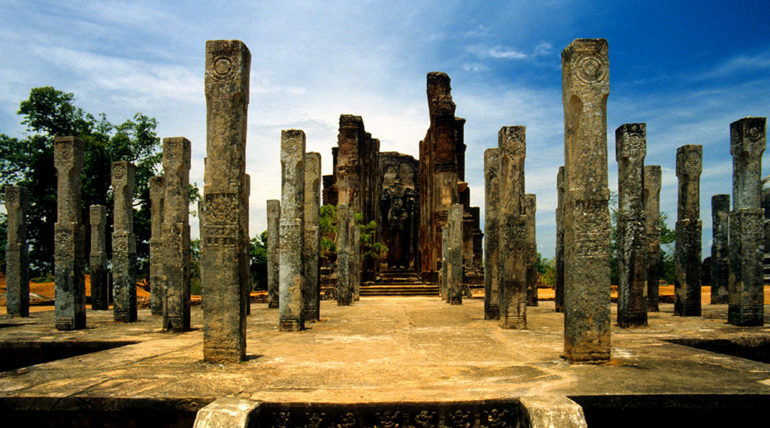 Built by King Devanampiya Tissa, ruler of the ancient capital of Anuradhapura during 247 -207 BC, Isurumuniya Rock Temple is home to a collection of carvings that have generated much interest. The ‘Isurumuni Lovers’, depicting a woman lifting a warning finger coyly towards a man, is undoubtedly the most well-known of all carvings on the site. Images of a royal family, as well as one showing elephants splashing about playfully in the water are other popular carvings at the temple. Most of the carvings have been shifted into a small temple set within the grounds. In between your visits to the Ruwanwelisseya Dagoba and Sacred Fig Tree, make a stop by at Lovamahapaya. 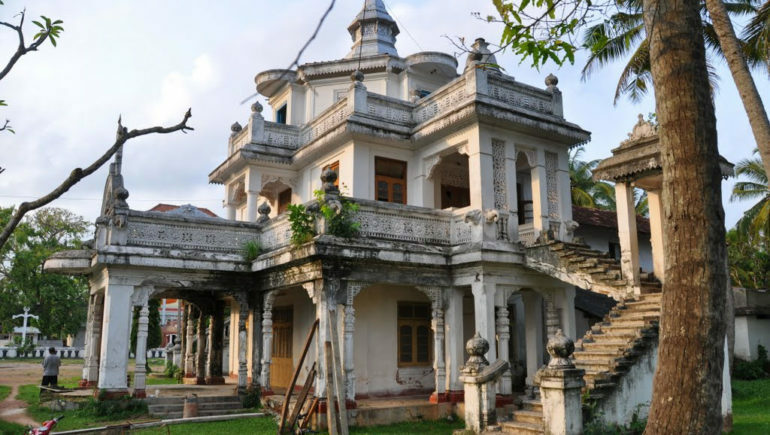 Situated between these two renowned cultural attractions, the Lovamahapaya was considered an achitectural feat after it was constructed by King Dutugemunu. Described to be an edifice of nine stories, the imposing structure contained a whooping 1,600 stone pillars and 100 cubicles in each storey, and was used to house Buddhist monks during the Anuradhapura era. The building has been destroyed and restored various times over the years; a small building and numerous stone pillars now stand in the expansive compounds of the site. Take an intriguing travel back in time to visit the massive Jethawanaramaya Stupa. As the largest ancient stupa built and one of the tallest ancient structures in the world, the Jethawanaramaya Stupa utilised a total of 93.3 million baked bricks in its construction. 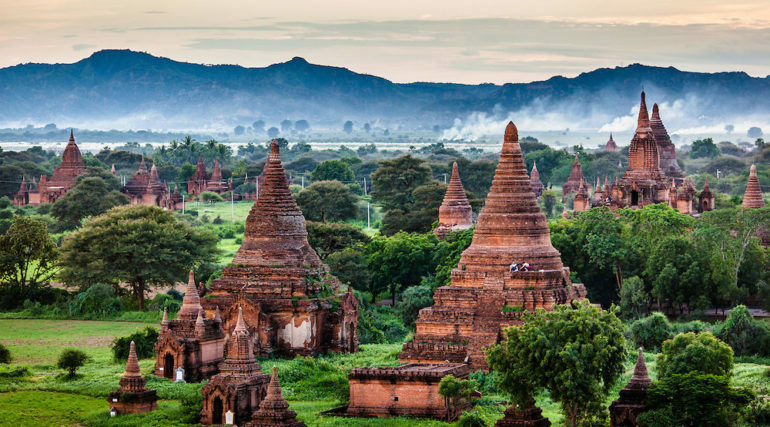 The compounds measures approximately 5.6 hectares, and housed an estimated number of 10,000 Buddhist monks. 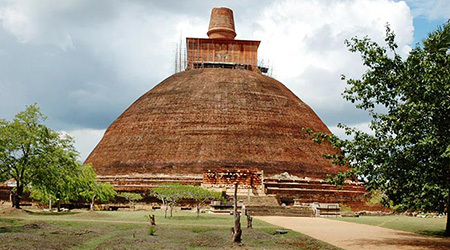 Similar to most ancient buildings in Anuradhapura, the stupa was destroyed by the North Indian invaders. When Anuradhapura was abandoned as the capital, the stupa, along with other ruins were covered up by the dense jungle. In the 12th century, King Parakramabahu carried out restoration works on the stupa, rebuilding it to its current height of 232 feet.